We are proud to announce the entry of the Morehouse Atlanta Alumni Association into a premium promotional partnership with the Blueprint Global Group (Blueprint) in presenting “THE MADE MAN,” the premier symposium honoring the notable pioneer men of color in the worlds of business, government, community and the arts & entertainment. 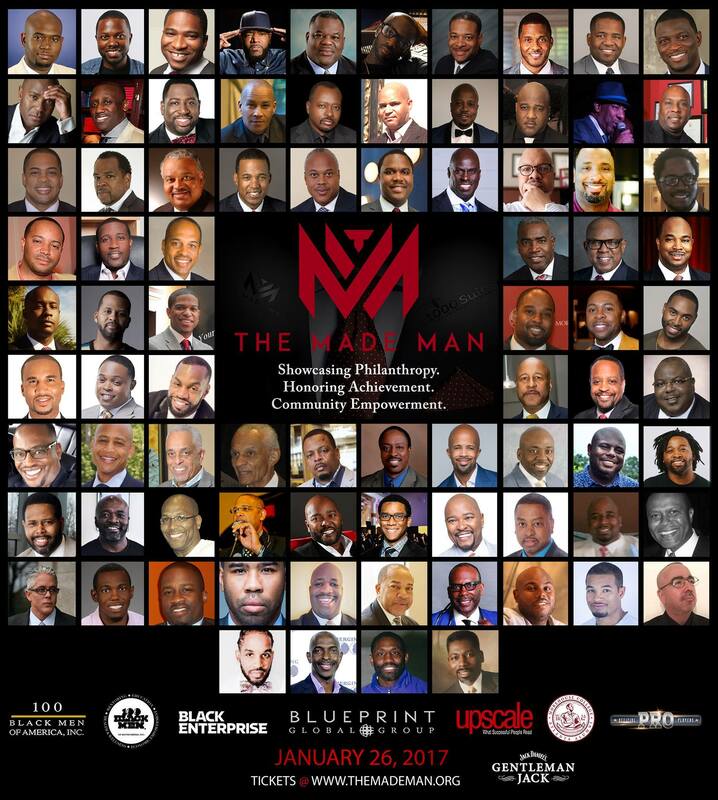 Hosted on THURSDAY, JANUARY 26, 2017, at Atlanta’s 595 NORTH event center, from 6PM – 10PM, “THE MADE MAN” is the brainchild of brand marketing maven Ms. Ky Dele. Sponsored by industry brands Black Enterprise, Upscale Magazine, 100 Black Men of America, Gentleman Jack and the NFL Players Association, this transformational evening showcases a literal “Who’s Who” among Georgia’s most distinguished African American and Latino icons, a group which most certainly includes a bevy of your esteemed Morehouse brothers being honored for their trailblazing work.